After exploring Moscow’s main sites, it’s always tempting to get beyond the hectic life of the city and explore somewhere a bit different. Quiet Kolomna might lack the fame of the Golden Ring, but that’s not to say there’s nothing here to see. 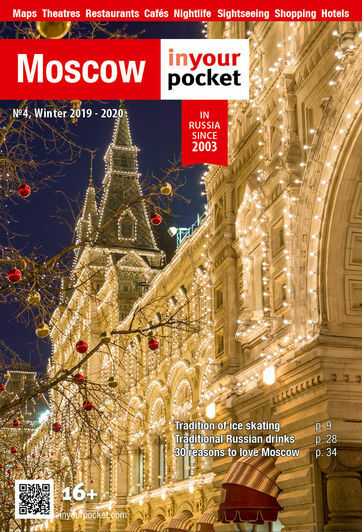 Your guide book might only mention Vladimir, Suzdal and Yaroslavl, and you’ll struggle to find much about the town in English on the Internet, but don’t let that put you off. It’s not because Kolomna isn’t worth visiting, quite the opposite; the key reason is that during communist times, the Kolomna region hosted factories that were involved in the production of military equipment, and was off-limits even to ordinary Soviet citizens, so the chance of curious foreigners being allowed in was somewhere between nil and zilch! Soviet paranoia has diminished somewhat in recent years so Kolomna is open to all, although very few foreigners make the trip simply because they aren’t aware of it. The town’s most unique attraction, in fact, is a factory of sorts. But far from military technology, the Kolomna Pastilla museum (www.kolomnapastila.ru/en/) on Posadskaya Ulitsa is all about confectionary made from the fruits of the region’s orchards. A guided tour shows how the candies were made and gives visitors the chance to try a few tasty treats for themselves, while the attached shop offers the perfect souvenir for friends back home. The Pastilla business reached its peak in the 19th century, when it even got the Royal seal of approval after a visit from the Tsar, but the town dates way back to 1177. You’ll do well to find anything that old nowadays but the 16th-century Kremlin is still a big draw. It was re- built in stone between 1525 and 1531 during the reign of Tsar Vasily III (initially it had been made from wood). West European Russia used to have hundreds of Kremlins, varying in size although few survive intact today and the Kolomna Kremlin stands as an example of one of the better preserved. In fact this particular Kremlin formed part of the Great Abatis Line (‘Bolshaya Zasechnayacherta’ in Russian) which was a chain of fortifications created by the Grand Duchy of Moscow, and later the Tsardom of Russia to protect it initially from raids by Crimean Tatars but also served as a border between the Muscovy state and the steppe nomads to the south. In total it stretched for several hundred miles. Situated on the confluence of the Moskva and Oka rivers, the Kolomna Kremlin once had 17 towers, four of which had gates, with the main gates being located at the northern and southern end of the complex. Only seven towers and two parts of the wall have survived. However, on its territoryare numerous churches and monasteries which are open to the public (except the female-only convent! ), the key ones being the Uspensky Cathedral, the Voskresensky Chruch and the Spassky Monastery. There are plenty of souvenir stalls selling the standard touristy kitsch to prove that you’ve actually been to Kolomna. There are several restaurants bunched together at the entrance to the old part of Kolomna, all serving up a combination of Russian and European-style food, plus beer brewed in nearby Ryazan. Despite the ‘tourist trap’ potential location, prices are reasonable (i.e., considerably lower than what you’d pay for similar fare in Moscow)! It’s hardly Michelin star but several steps up from stolovaya standard!